Growing up in the North of France served as the perfect canvas for Charles Laurent to paint out his imagination. In his mind’s eye, every chateau had a king and queen, every stone had a storied history of magic, and every pastry was a piece of art. His reality, however, wasn’t so enchanting. For years, Charles Laurent was physically and emotionally abused by his family and community because he was different. He was gay. As soon as he came of age, Charles Laurent left Paris for New York City to chase his American Dream. He landed his first job as a door mannequin at a popular Fifth Avenue retailer, where he was scouted by a major fashion agency. Soon he was walking the catwalk for some of the top fashion ateliers in the world including the MT Costello runway at NY Fashion Week. 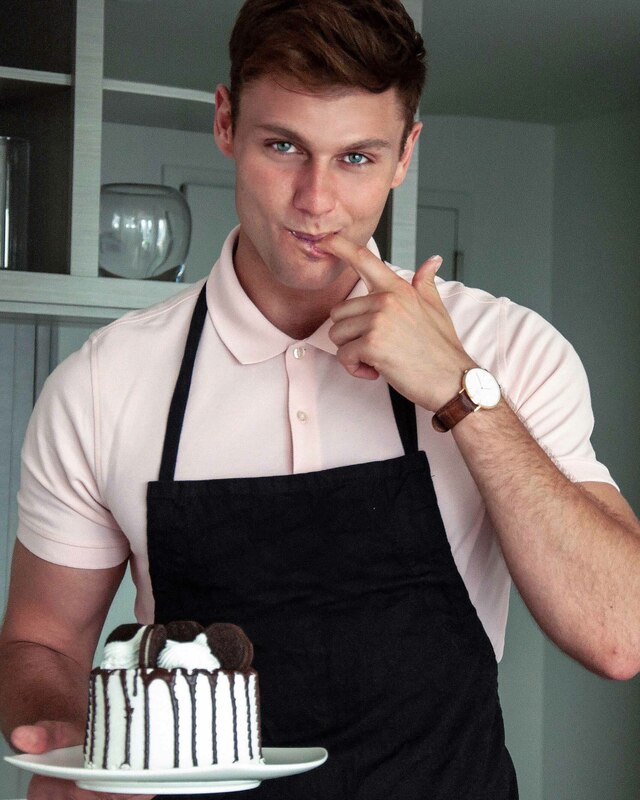 Since becoming a full-time cake baker, some of his most prized designs have been cakes that celebrate the LGBTQ community (like his multi-colored Rainbow-Sculpted Torso pound Cake), his experience in fashion (his Eat-a-Purse cake, made from Coconut Chiffon with Passion Fruit Butter Cream, was inspired by Gucci) and his love of theatricality (his Pink Jungle cake features giant palm leaves over a romantic pink fondant). Charles Laurent has also distinguished himself for his low calorie, vegan and gluten-free cakes. 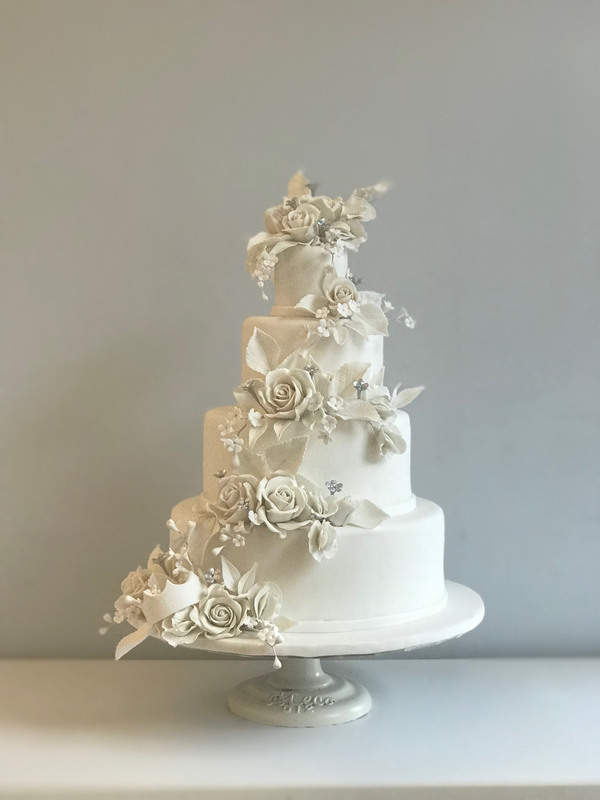 His Le Marriage Blanc wedding cake is an elegant health-conscious Vanilla Cake with Pistachio Butter Cream. His “My First Birthday” is an adorable Vegan Gluten-Free Chocolate Cake featuring the sweetest red propeller plane flying among bright blue skies with white puffy clouds. 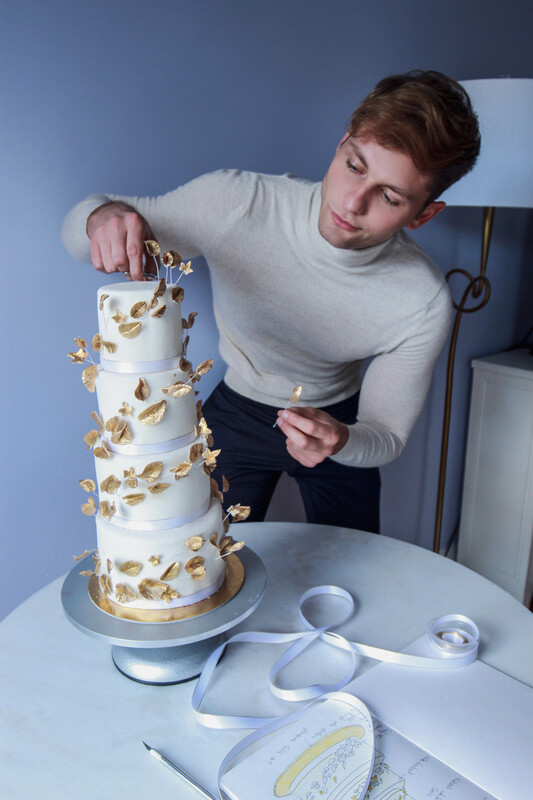 A particular showstopper is Charles’ L’automne Aux Feuilles d’or, a vegan gluten-free carrot cake that features four tiers wrapped in exquisitely gilded leaves. Read more about Chef Laurent and his work on his website Chef LAURENT.XIV.